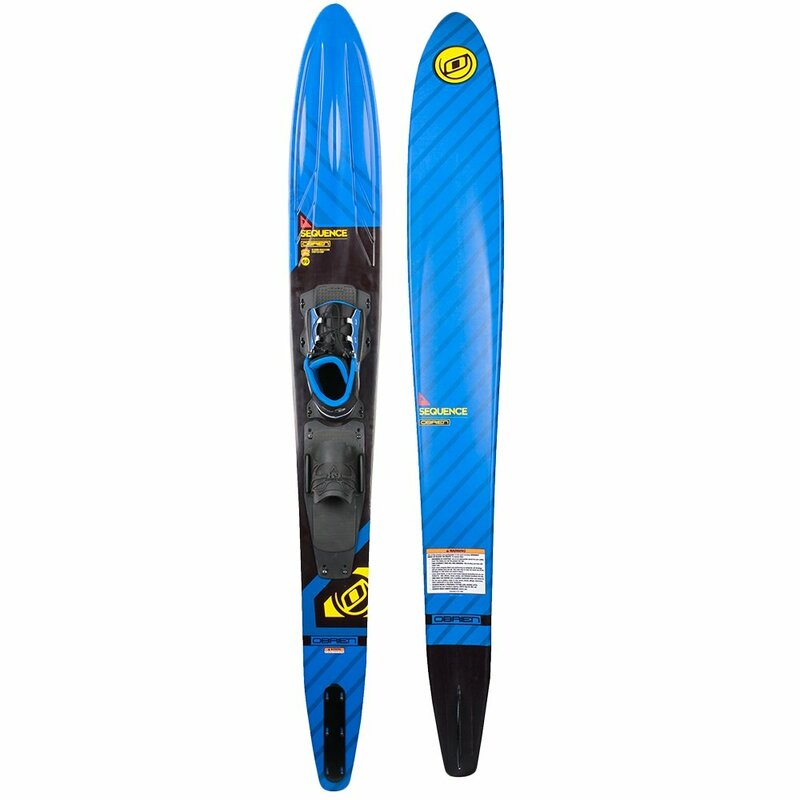 Designed for accessible performance, the O'Brien Sequence Slalom Ski Package features a Transitional Concave Base. This means at the nose a traditional tunnel shape gives you stability and straight tracking, eventually turning into a broader full-concave design that keeps mobility high even on a wide ski design like this. That means anyone who fits in the included X-9 Bindings will be able to find something they like in the ride, and thanks to the highly adjustable design most everyone will fit in those X-9s. "My husband is 5'8" and weighs 185. He is a very good water skier. What size slalom ski would fit him?" "The recommended size for that height and weight is 68-69"." "This is 2 Skis, right? Says Slalom, but reads as 2 Skis. " "This item is just one ski. The picture is for the front and bottom of the ski. The combo comes with 2 skis. You can find our selection by clicking here."